weaknesses, too. This constant recollection about God will become our constant oy about Him. Of course, there is no need for us to get on the way of hesychasm. Still, we can try to get half a foot closer to perfection. We need to devote more time to prayer than we do usually. We should be more attentive during services – sometimes it might be useful to take a book with the texts of services. We should perform the prayer rule more thoroughly – leave your computer half an hour earlier and read the evening prayers. Add the prayer of St. Ephraim the Syrian. While on the way, read or listen to Psalter. 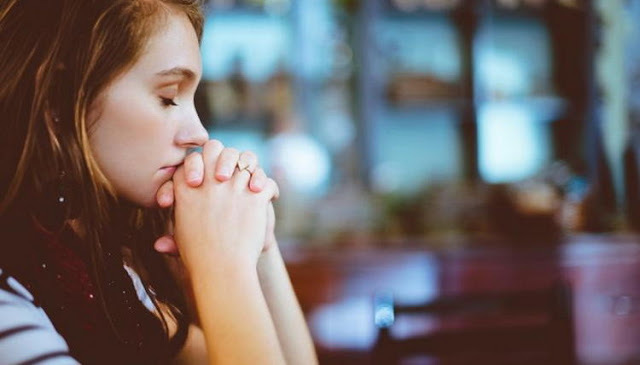 It is rather useful to fight against numerous temptations during Great Lent with prayer: when you feel angry or get despaired you can cope with this condition with the help of short Jesus’ prayer. If we did not manage to organize our life in a way that we can only eat permitted foods, read the entire prayer rule or just pray during the day because of the everyday routine, the church comes to our rescue. 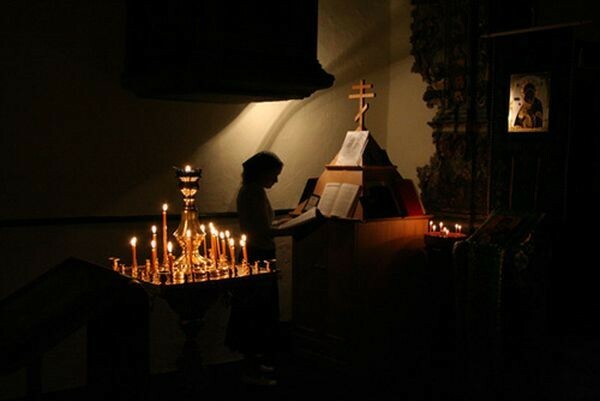 During Great Lent, Divine services are performed every day in monasteries and many parish churches in big cities. We can go to church before or after work and stay at least for a part of the service. This will help to tune on a completely different from the secular environment mood. If we speak of Great lent, we should point out that there are certain services for which we could even take a day off. These are the Great Canon of St. Andrew of Crete during the first four days of Great Lent, the reading of the entire Canon of St. Andrew of Crete on the Wednesday evening during the fifth week, akathist to the Mother of God on Friday, and the services of the Holy Week. 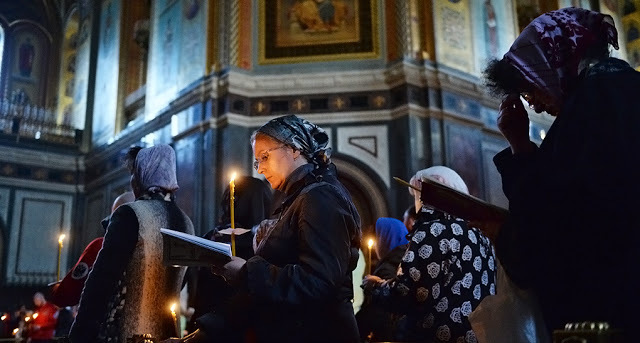 It is advisable to attend the Liturgy of Presanctified Gifts at least once during Great Lent. It is known that it is not God who needs fast, but we. For example, Great Lent consists of two parts: the Lent itself and the Holy Week. The Church offers us to read the Great Canon twice during Lent for good reason. 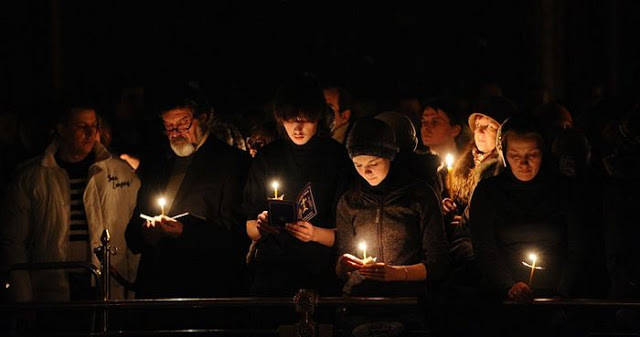 Every Saturday after the all-night vigil, we can hear the chant “Open to me the doors of repentance, O Life-giver!” for good reason. 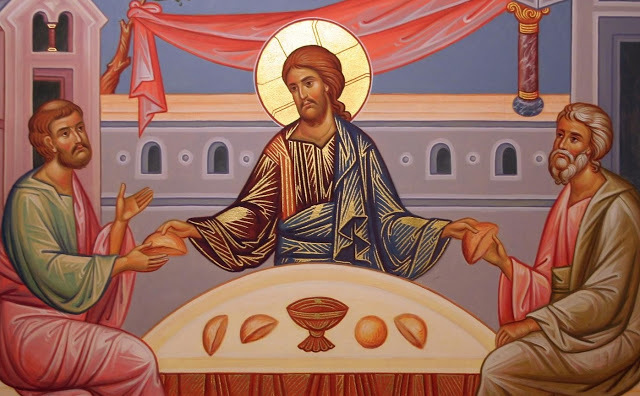 Three weeks before Great Lent the Church appeals for repentance with the parable about the Publican and Pharisee, and the recalling of the Last judgement and Adam’s expulsion. We need these 40 days of Lent exactly for repentance. If you are not going to repent, then there is no need to fast. It will be just a waste of your health. If you feel that your health is getting worse during Lent, you should discuss the degree of your abstinence with your spiritual father. If you have any diseases of the stomach or metabolic dysfunction, you cannot fast in full or partial accordance with the Church statue just because you want to. Today even some monasteries do not fast with only dry food; so, the Lord will not judge a working person who has health problems, too. Gastric ulcer will not bring you closer to the Lord. In fact, it can even distance you from God. The border between pure desire to follow the Church canons and the pride for your personal efforts is rather thin. “I boast when I fast, and I still boast when I do not fast”, – writes St. John Climacus in his “Ladder”. “Boasting while fasting” is dangerous and goes hand in hand with judging others. Your brother eats fish while you are on bread and water? Not your business. He drinks milk while you do not even put sugar in tea? You have no idea about the condition of his organism. He has eaten a sausage and is going to partake of Holy Communion next morning while you have begun the Eucharistic fast even before the all-night vigil? This concerns only him and the priest who lets him to take part in the sacrament. “Boasting while not-fasting” is more delicate passion. In the present-day world, there is such a character as a publican who is boasting because he is not a Pharisee. In this case, we can observe another tendency: he does not eat oil – but I make hundred prostrations at home before going to bed! 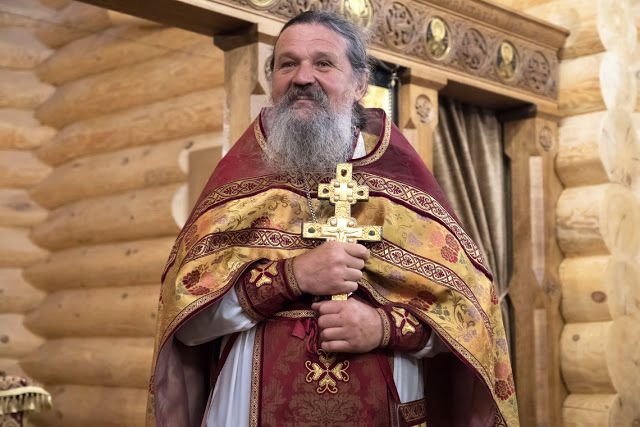 He does not take any alcohol – but I repent every weekend! Here we can say only what children in kindergarten are said: “Eyes on your own plate”. Think less about food. Fast is not about changing your food regime. Vegetarians do not eat animal food at all but it neither brings them closer to God nor keeps them from Him, just like the Apostle said. The continuation of this well-known phrase is, “but with any word of God” – it suits perfectly to the period of Great Lent, when we pay special attention to reading Bible, which is the word of God. 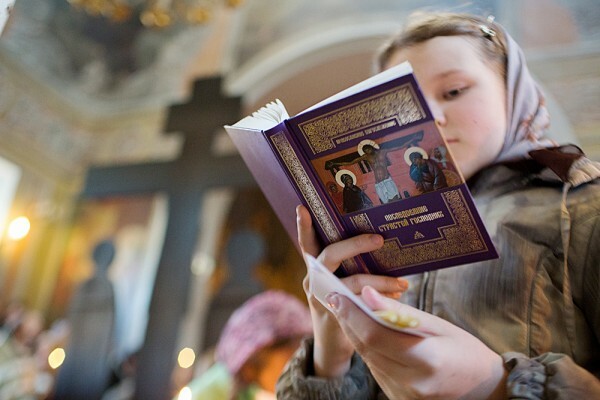 There is a tradition to read full Gospel as well as it will be useful to read the teachings of Holy Fathers: “Ladder”, Philokalia, explanations of Gospel and so on. Concentration on our personal spiritual condition must not turn into negligence towards other people. Fast is supposed to develop in us both love towards God and love towards our neighbor. St. John Chrysostom offered to donate the money saved during Lent to people in need. 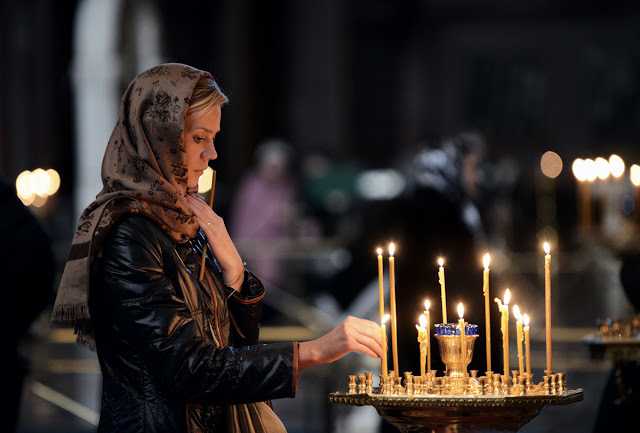 What is more, during Great Lent there is no need to stop communication with those people who can need it – a pregnant friend, a sick neighbor, a lonely relative. A short talk with these people over a cup of tea is not just entertainment but helping others. Good attitude towards our neighbors can sometimes lead to such an unpleasant thing as people pleasing. In fact, there is no good attitude in it at all, while there is personal flabbiness and dependence on the opinion of other people. During Great Lent, this passion becomes especially sharp. “Let’s meet on Friday after work and go to a café!” your friend says, and here you are ordering a cake with her: I don’t want to offend her! “Come to us on Saturday evening!” your neighbors say, and you are going to miss the evening service… “Have one more piece of chicken if you don’t want to hurt my feelings!” your relative says capriciously, and here one can even hide behind respectful attitude towards older people. However, it will be a wickedness. Unwillingness to come into conflict is not always connected with love towards others. To get rid of the sin of people pleasing we can recall the advice by St. Paisios the Hagiorite: we should conceal our personal fasts in order not to fast for show, while the fast for the whole Church is being strong in our faith. We should not only strive to respect other people, but make others respect our faith, too. Quite often, a polite explanation is enough for people to understand your position. What is more, most often it comes out that all our explanations are fanciful: a friend in a café will not be confused by your empty espresso cup, your neighbors will be glad to meet with you after the service, and your relative will be pleased to treat you to potatoes with mushrooms.